Some 495 people have registered to become candidates for the Assembly of Experts elections to be held on December 15. Eligible candidates will have to pass a theological exam as well as a thorough vetting of their backgrounds and political tendencies. The country's conservative clerical elite has used this vetting process to weed out anybody who might upset the status quo. Meanwhile, the leading fundamentalist candidate and his allies have been slinging mud at their most prominent opponent, a former president who is comparatively pragmatic. WASHINGTON, October 12, 2006 (RFE/RL) -- The 86 clerical members of the assembly -- which is empowered to select and supervise the supreme leader -- includes many of the country's most senior personalities. Among those who had signed up in hopes of being a candidate were former Supreme National Security Council Secretary Hojatoleslam Hassan Rohani, former Judiciary chief Ayatollah Mohammad Yazdi, former Guardians Council member Ayatollah Abolqasem Khazali, and Islamic Culture and Communications Organization head Ayatollah Mohammad Ali Taskhiri. So, too, did Ayatollah Mohammad Taqi Mesbah-Yazdi, the controversial cleric who includes President Mahmud Ahmadinejad among his followers and who famously advocated violence against reformists. Mesbah-Yazdi's ambition may go beyond re-election to the Assembly and include eventual ascension to the highest position in the country, the supreme leadership. "The New York Times" reported on September 25 that Mesbah-Yazdi and Supreme Leader Ayatollah Ali Khamenei are allies and based this statement on Khamenei's financing his colleague's Imam Khomeini Educational and Research Institute. In fact, Khamenei uses government funds to finance many of the country's theological institutions and clerics. This is done in order to help Khamenei's popularity and create a sense of loyalty or even dependence. The provision of funding also is a traditional function of Shi'ite leaders, and the supreme leader's doing this reflects the Iranian quest for dominance of the global Shi'ite community, a development noted in Mehdi Khalaji's "The Last Marja" (The Washington Institute for Near East Policy, September 2006). While some clerics and their followers are persecuted for questioning the theocratic system of Vilayat-i Faqih (http://www.rferl.org/featuresarticle/2006/10/e08b35c4-983c-4ad2-823c-e4d542a1cdda.html), Mesbah-Yazdi has come out strongly in its favor. In a speech late last month, Mesbah-Yazdi denounced the possibility that Vilayat-i Faqih could be legitimized by the popular vote, the Entekhab website and IRNA reported, citing the September 27 issue of "Parto-yi Sokhan," Mesbah's weekly mouthpiece. "Is there a better way than this for America to infiltrate [the Islamic system]?" he asked. Mesbah was responding to a mid-September speech by Ayatollah Ali-Akbar Hashemi-Rafsanjani, the current deputy speaker of the Assembly of Experts. Mesbah and his fundamentalist followers view Hashemi-Rafsanjani as someone who has forsaken Islamic principles in the pursuit of expediency, and they have been relentless in their criticism of him and their hounding of his associates (see "Iran: Preparing For A Defining Election," and "Iran: Early Race For Clerical Assembly Gets Bitter"). In that mid-September speech, Hashemi-Rafsanjani started with a critique of the prevailing political atmosphere, noting that extremism has bedeviled Iran since the 1979 Islamic Revolution, and he cited the dual requirements of moderation and development. Hashemi-Rafsanjani then hailed the significance of the popular vote and asked if a country can be run if the people do not accept the "ruling establishment," "Etemad-i Melli" reported on September 16. Iran's Islamic government, he continued, must be run by an expert in Islamic law -- a faqih -- and this person can be selected by the clergy or by the public. In the Iranian system, the choice is made by both communities. "The role of the people in times of decision-making is very important," he said. The next step in the demonization of Hashemi-Rafsanjani occurred in late September, as Iran commemorated the anniversary of the beginning of the 1980-1988 war with Iraq. Hashemi-Rafsanjani said in an interview that Iranian officials were not advocating a cease-fire in 1988, but military commanders did tell Supreme Leader Ayatollah Ruhollah Khomeini that they would have to invade Iraq to bring about a successful conclusion to the conflict, "Aftab-i Yazd" reported on September 26. Khomeini initially approved this, but it was clear that Iran was isolated politically and in dire financial straits, and the equipment demands of the Islamic Revolution Guards Corps were unaffordable. It was under these circumstances that Khomeini accepted UN Resolution 598, the cease-fire that concluded the war. The initial interview raised some eyebrows, and there were even denials that the Guards Corps had written a letter demanding more equipment and personnel. Hashemi-Rafsanjani then released Khomeini's letter of July 16, 1988, in which he gives his reasons for agreeing to the cease-fire, which he likened to "drinking [from] the poisoned chalice," ILNA reported on September 29. Khomeini wrote: "In his letter IRGC commander [Mohsen Rezai] has written there will be no victory in the next five years." Offensive operations could resume after 1992, Rezai continued, according to Khomeini's letter, if he got 350 more infantry brigades, 2,500 tanks, 600 airplanes and helicopters, and the ability to make nuclear weapons and laser-guided munitions. Khomeini went on to write that his prime minister described a weak economy and political officials said the public is unenthusiastic about going to the front when victory seems unattainable. Ahmadinejad criticized Hashemi-Rafsanjani for weakening confidence in the country's abilities during the war, "Kayhan" reported on October 3. Ahmadinejad described this as an attempt to undermine the "values" gained during the war, and said this revealed the "lack of intelligence, abilities, and commitment." Hashemi-Rafsanjani also faced accusations of releasing classified documents, which he rejected. Disputes between the supporters of Mesbah-Yazdi and Hashemi-Rafsanjani persisted, and differences emerged even in cases where different political parties planned to back identical lists of candidates. In Kerman Province, the conservative Tehran Militant Clergy Association (Jameh-yi Ruhaniyat-i Mobarez-i Tehran), which recently encouraged Hashemi-Rafsanjani to run, actually prefers Morteza Aqa-Tehrani, a Mesbah-Yazdi associate who serves in the executive branch, Aftab reported on October 4. The conservatives are in full agreement on their other two provincial candidates -- Friday Prayer leader Ahmad Khatami and Mohammad Ali Movahedi-Kermani, formerly the Supreme Leader's representative at the Islamic Revolution Guards Corps. Hussein Jalali, who heads Mesbah-Yazdi's election headquarters, said on October 7 that groups supporting Mesbah-Yazdi are springing up "spontaneously," Fars News Agency reported, and Hashemi-Rafsanjani is not on their list of candidates. As early as August, meanwhile, there were reports that the candidacy of younger associates and students of Mesbah-Yazdi were being opposed by the Qom Seminary Lecturers Association. Hussein Marashi, spokesman for the center-right Executives of Construction Party, alluded to this phenomenon when he said, "the Assembly of Experts will not be the stage for the parading of unknown people," "Etemad-i Melli" reported on September 16. Some of the older cleric's "proteges" are educated at second-tier Western universities and are "seemingly modern," and they will try to hide their connection with Mesbah-Yazdi when they register, "The New York Times" reported on September 25. The more pro-reform parties are working to create joint election lists, too. Hojatoleslam Mehdi Karrubi, who created the National Trust Party after losing in the first round of what he claims was a flawed and fraudulent 2005 presidential election, said, "Our list will be 90 percent in common with the list of other reformist groups," "Etemad" reported on September 26. He went onto say that a reformist election headquarters is being created, and added that such cooperation should continue beyond the election itself. He noted that usually the groups out of power come together before elections, but because they do not have a broader plan, differences emerge between them after they win and they forsake many opportunities. The secretary general of the reformist Islamic Iran Participation Party, Mohsen Mirdamadi, said his organization will back the candidates of the Militant Clerics Association (Majma-yi Ruhaniyun-i Mobarez), "Ayandeh-yi No" reported on September 30. After prospective candidates finish registering, the Guardians Council will have 30 days -- from October 15 to November 30 -- to examine their qualifications. During this time, candidates will be examined on their ability to perform Koranic interpretation (known as ijtihad, this is the highest form of Islamic learning). Successful candidates will have 14 days to campaign -- from November 30 to December 13. The hard-line bias of the Guardians Council -- the six clerical members that are appointed by the Supreme Leader and the six jurist members that are selected by the Judiciary chief, another appointee of the supreme leader -- has angered Iranians since the early 1990s. Not only does the council vet candidates and reject those whose political tendencies it finds questionable -- even if they are incumbents -- but it also overturns the results in cases where the outcome is not to its liking. The council's spokesman, Abbas-Ali Kadkhodai, said on October 9 that factionalism will not affect the screening process, Mehr News Agency reported. 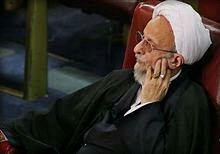 The head of the council, Ayatollah Ahmad Jannati, signed up as a candidate on October 10. He has previously rejected suggestions that there is a conflict of interest. The Interior Ministry runs elections, and the logistics of this year's race pose particular difficulties. That is because polling for the Assembly of Experts competition takes place at the same time as polling for municipal councils and for parliamentary by-elections in Ahvaz, Bam, and Tehran. Interior Minister Mustafa Purmohammadi said on October 2 that this will require approximately 60,000 ballot boxes for the Assembly of Experts race, another 60,000 for the municipal councils, and 10,000-15,000 for the parliamentary by-elections, state radio reported. The Interior Ministry's fundamentalist political tendencies worry the reformists. The background in military and intelligence agencies of Purmohammadi, his deputy Mohammad Baqer Zolqadr, and many appointees to governor-generalships caused a parliamentary uproar (see "Iran: New Security Measures Not Welcomed By All" and "Iran: No Welcome For President's New Elite"), and the newest appointment to the ministry has not calmed any concerns. Ahmadinejad appointed his adviser, the secretive Mujtaba Hashemi-Samareh, as deputy interior minister for political affairs in late September. On October 1, Hashemi-Samareh was put in charge of the election headquarters. The way in which all these conflicting elements interact and the ultimate outcome is unclear, as more than two months remain before Iranians go to the polls. The activities of the Assembly of Experts have little impact on Iranians' daily lives, and its biannual meetings take place behind closed doors. Therefore, people have little motivation to vote in the election and turnout could be relatively low. For the initial municipal council elections in 1999, turnout was high (64 percent), as voters thought the local bodies could substantively improve their day-to-day lives. The councils did not fulfill their potential, however, so turnout was lower (49 percent) in the second election in 2003. Regardless, holding the two elections simultaneously could boost overall turnout figures. As the fundamentalists will be running the elections and they have already demonstrated an ability to pack the polling places and the ballot boxes, it is not unreasonable to expect tremendous voter enthusiasm, as there was in the second round of the 2005 presidential election.